L’Anse, Michigan, January 30, 2019 The Friends of the Huron Mountains, a group in opposition to the proposed Summit Lake industrial wind farm in the Huron Mountains, announced today that a sophisticated project viewshed analysis is available to the public. FOHM member Bob Kissel proposed the analysis to evaluate project proponents’ assertions that the 69 proposed 500 feet tall industrial wind turbines in the developer’s application to the Federal Aviation Administration would not be widely visible. FOHM entered into a contract with Michigan Technological University for the analysis, conducted by the Geospatial Research Facility at the Great Lakes Research Center. The analysis uses U.S. Department of Agriculture and Geological Survey databases that include precise Light Detection and Ranging (LiDAR) terrain measurements to calculate line-of-sight from the 278 feet nacelle height of each proposed turbine’s location to all areas within a 25-mile radius and selected points ranging to Quincy Hill in Hancock. The 2D map highlights every location where at least one turbine is visible from a spot six feet above the ground. The map depicts both forested and non-forested (winter or timber clear cut) views. The 3D virtual reality program allows the user to pan around as if looking through a camera lens to view the terrain from any location. FOHM chairperson Burt Mason explained “It’s not practical to include forested views in the virtual reality program, as users would need extremely powerful computers to process the data. Using the map and web-based program in combination, users can follow a two-step process: First, determine from the map if at least one turbine would be visible from any given location, and second, use the virtual program to access the view from that vantage point.” Maps (including versions showing proposed new roads and other features) and instructions for use will be available at FOHM meetings and at presentations to government and the public. FOHM spokesperson Wayne Abba said the analysis will be featured in informational presentations leading up to the May 7, 2019 L’Anse Township referendum on permissive zoning for large wind energy conversion systems. 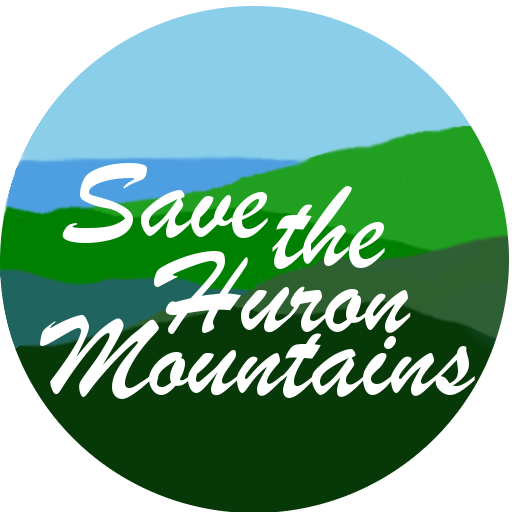 The public may view the interactive analysis on the internet at https://savethehuronmountains.org/virtual-reality-viewer/ Pre-selected vantage points include among others the Huron Islands, Pt. Abbaye, Pequaming Marina, Baraga, Huron and Keweenaw Bay shorelines, Aura, Skanee, Mountain Lake and the Huron Mountains. Users also can select any location to view the virtual reality turbines and can vary the view by date and time of day. The Friends of the Huron Mountains is a nonprofit corporation formed to serve the common interests of residents, visitors and friends of Baraga and Marquette counties in Michigan’s Upper Peninsula.